Combining thought-provoking conversation topics with a communicative approach, this textbook and accompanying audio recordings emphasize the spoken language by encouraging serious dialogue among students. Task-based activities encourage genuine, active communication and create a meaning-centered atmosphere for intermediate and advanced learners. Through discussing subjects related to their upbringing, politics, music, and the meaning of life, students learn to express themselves descriptively, quizzically, philosophically, and opinionatedly. While eliciting spontaneous responses, this course contextualizes linguistic patterns and makes suggestions for active engagement in the classroom. Beyond the Basics also features a special Teaching Methodology Index, which provides teachers with objectives, teaching procedures and techniques specific to each lesson, and additional activity ideas. In simplified and traditional characters and pinyin. 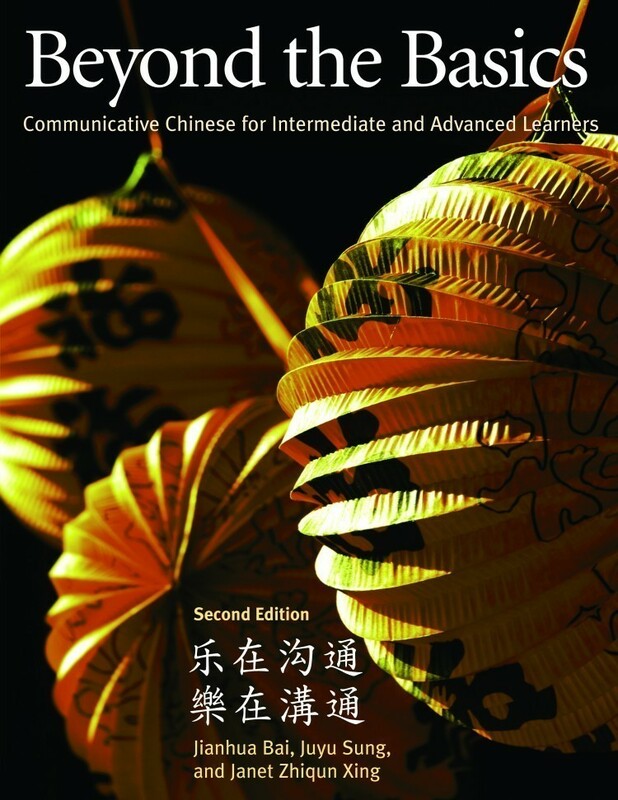 The new, second edition includes free access to audio downloads. Turn to page 151 in Beyond the Basics. Fill in the blank. Speaker B says in Example 2: "No, his ___ have just hit the market."